The malicious use of lasers to interfere with the activities of individuals in diverse environments is a growing concern. To increase awareness of public health workers, the Tricorder, a unique laser characterization sensor, is being fabricated. In this paper, the Tricorder’s human factors aspects and operational use are studied to enhance acceptance and increase use. Users’ perspectives were collected with Q-methodology. The first question explored technical features. The second question dealt with the intended use. Twelve individuals responded to the first question, and nine individuals responded to the second question. Statistical analysis of the responses revealed four factors (common opinion groups) about equipment and three factors about use. 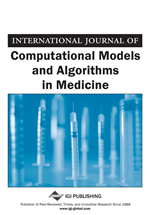 Interestingly, job titles did not correlate with any single opinion group, implying user acceptance will depend on factors not captured by studying workflow or equipment specifications alone. Recent publications have documented significant eye damage from lasers. The first, a recent letter in the New England Journal of Medicine, documents the eye damage of easily accessible lasers to the public, noting negligible visible difference between hazardous and non-hazardous devices (Wyrsch, Baenninger, & Schmid, 2010). The second is the first incidence of public laser eye damage reported to the UK Health Protection Agency (Ziahosseini, Doris, & Turner, 2010). The FAA has recently cited an increase to 2836 reported incidents in 2010, which was an increase from 400 incidents during the period 1990 to 2005 (Abrams, 2011). The wide spread availability of this class of lasers will change the operational environment of public health workers, police, and pilots (Department of Homeland Security, 2010; Nakagawara, Montgomery, & Wood, 2007; Thames Valley Police, 2009). The malicious use of lasers has been well documented for pilots over the last several years (Nakagawara, Wood, & Montgomery, 2008). An FAA study demonstrated that low power lasers prevented pilots’ attempts to land a plane safely (Nakagawara, Montgomery, Dillard, Mclin, & Connor, 2004). Currently, exposure to most lasers associated with misuse causes only temporary irritation, but predictions that lasers will serve as a weapon in the future might change the level of threat (Bunker & Lindsay, 2008). To improve the situational awareness of those who might be exposed to directed energy (DE) radiation, the authors are fabricating unique laser sensors, referred to as the Tricorder. A larger vision of the Tricorder is detailed in a recent publication (Colvard, Naiman, Danziger, & Hanley, 2010). The field device must meet the needs of public health officials, pilots, police, and paramedics. Very little literature in the public domain has been devoted to portable devices to detect directed energy. To support this technology development, research was undertaken to explore the human factors aspects of the sensor. A recent report of the Agency of Health Research Quality (AHRQ) specifically mentions the importance of evaluation throughout the development cycle of health technology, not just in field evaluation (Armijo, McDonnell, & Werner, 2009). This research anticipates increasing user acceptance by engaging users earlier in the design process. Such user engagement could serve as a model for future technology development, given an increased likelihood of providing these sensors to clinical and public safety practitioners. Technical specifications, such as sensing the correct wavelength range and fluence are critical to development; however, the success of any technology lies in user acceptance. This requires that the human-technology interface be satisfactory to a diverse set of operators performing stressful duties in high threat environments. Within computer science, this is known as “technology mediated use” (Orlikowski, Yates, Okamura, & Fujimoto, 1995). All perspectives focus on the user’s perception of “appropriate” use of technology, as well as on the resulting unintended use (and abuse) of technology; differing uses have been inserted into a concept matrix in which interfaces with technology are described as dynamic, emergent, hard to understand, and often surprising (Harrison, Koppel, & Bar-Lev, 2007). Basic understanding of the use of technology and critical features is vital in technology development cycles. One outcome of user discussions is a long list of “desired” capabilities; one solution is a consensus list. Traditional Likert scale surveys used to prioritize desirable technology features do not provide a rich story about user needs, which may result in generalizing the wrong aspects of a technology interface. Q-methodology allows quantitative methods to evaluate qualitative data and operationalizes user opinions to overcome these shortcomings.